Social media sites are littered with seemingly innocuous little quizzes, games and surveys urging people to reminisce about specific topics, such as “What was your first job,” or “What was your first car?” The problem with participating in these informal surveys is that in doing so you may be inadvertently giving away the answers to “secret questions” that can be used to unlock access to a host of your online identities and accounts. I’m willing to bet that a good percentage of regular readers here would never respond — honestly or otherwise — to such questionnaires (except perhaps to chide others for responding). But I thought it was worth mentioning because certain social networks — particularly Facebook — seem positively overrun with these data-harvesting schemes. What’s more, I’m constantly asking friends and family members to stop participating in these quizzes and to stop urging their contacts to do the same. On the surface, these simple questions may be little more than an attempt at online engagement by otherwise well-meaning companies and individuals. Nevertheless, your answers to these questions may live in perpetuity online, giving identity thieves and scammers ample ammunition to start gaining backdoor access to your various online accounts. 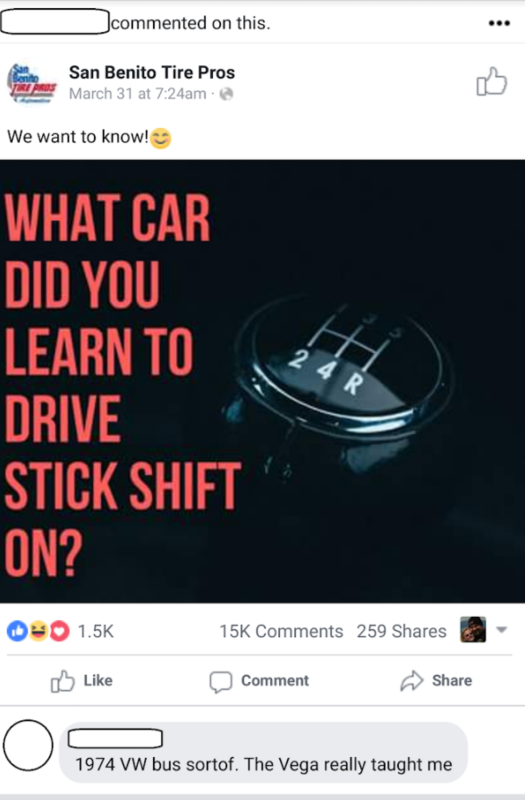 I hope this is painfully obvious, but for many people the answer will be the same as to the question, “What was the make and model of your first car?”, which is one of several “secret questions” most commonly used by banks and other companies to let customers reset their passwords or gain access to the account without knowing the password. 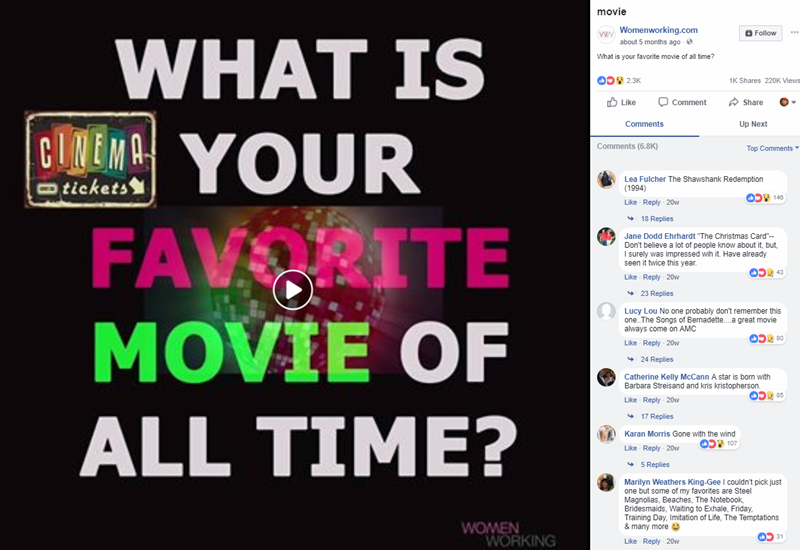 This simple one-question quiz has been shared more than 250 times on Facebook since it was posted a week ago. 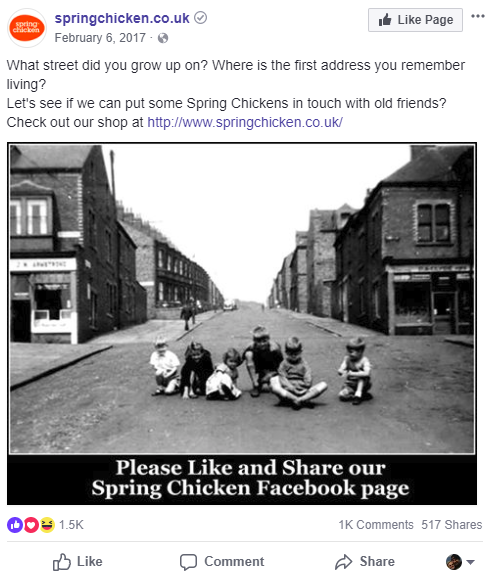 Thousands of Facebook users responded in earnest, and in so doing linked their profile to the answer. 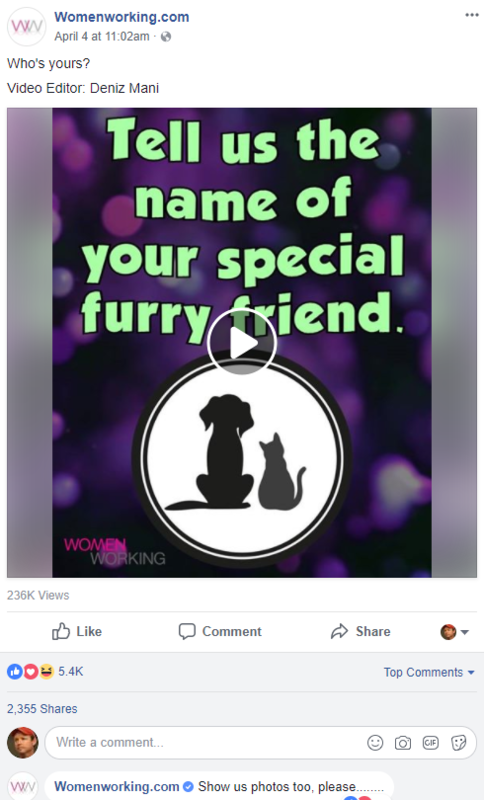 Probably the most well-known and common secret question, “what was the name of your first pet,” comes up in a number of Facebook quizzes that, incredibly, thousands of people answer willingly and (apparently) truthfully. 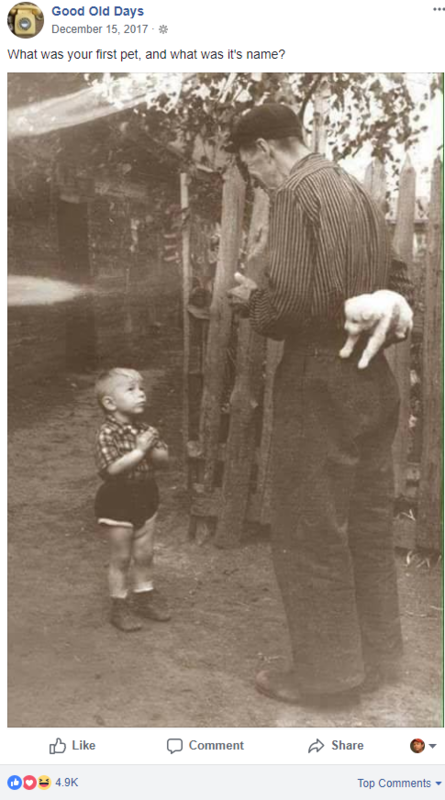 When I saw this one I was reminded of this hilarious 2007 Daily Show interview wherein Jon Stewart has Microsoft co-founder Bill Gates on and tries to slyly ask him the name of his first pet. Almost 5,000 Facebook users answered this common password reset secret question. 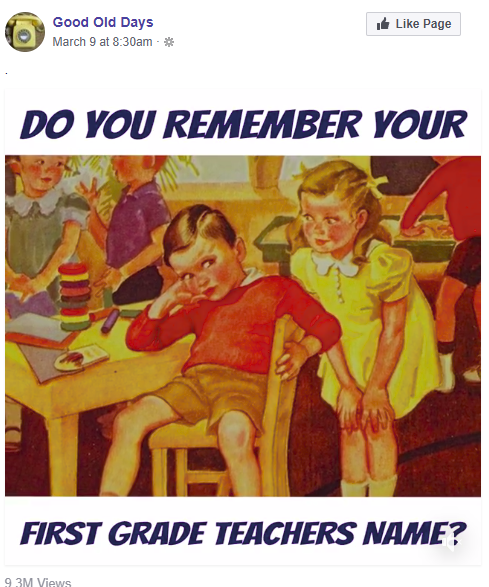 More than 500 Facebook users have shared this quiz with their network, and hundreds more shared the answer using their real names and links to their profiles. 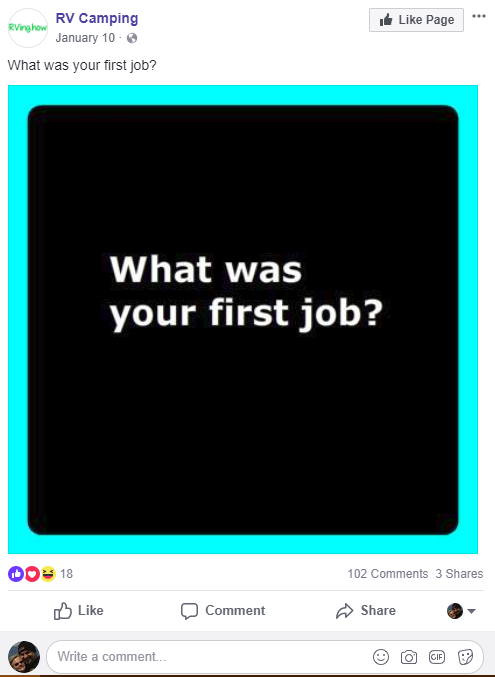 This question, from the Facebook account of Rving.how — a site for owners of recreational vehicles — asks: “What was your first job?” How the answer to this question might possibly relate to RV camping is beyond me, but that didn’t stop people from responding. 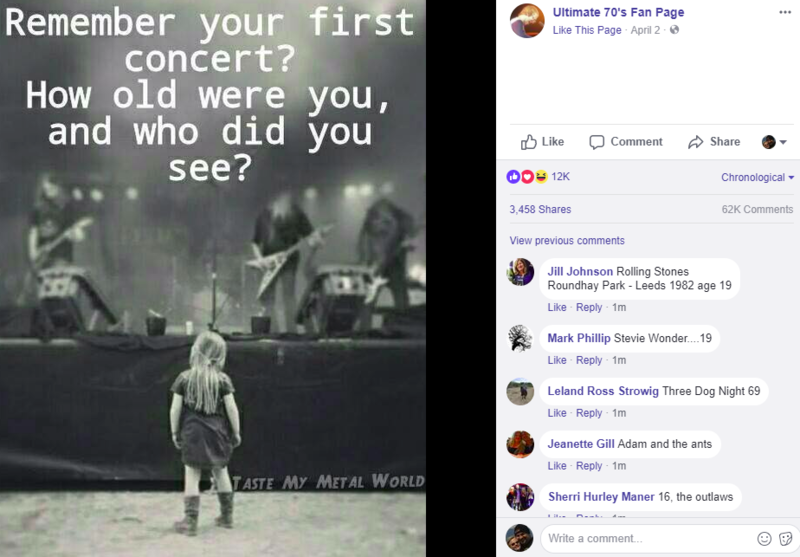 This common secret question has been shared on Facebook almost 10,000 times and has garnered more than 2,300 responses. 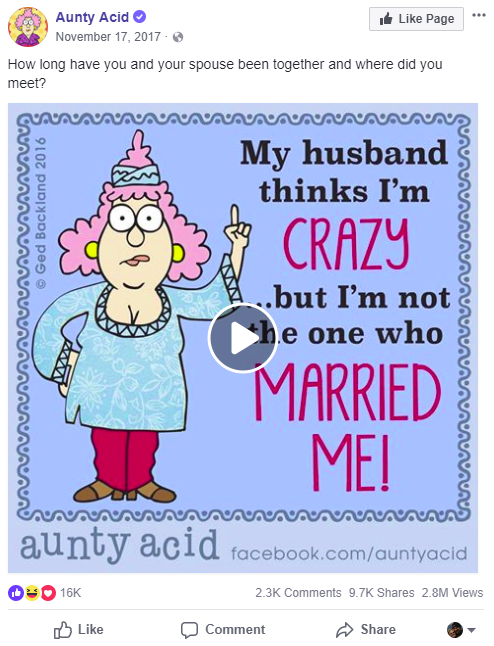 Here’s another gem from the Womenworking Facebook page. Who hasn’t had to use the next secret question at some point? Answering this truthfully — in a Facebook quiz or on your profile somewhere — is a bad idea. 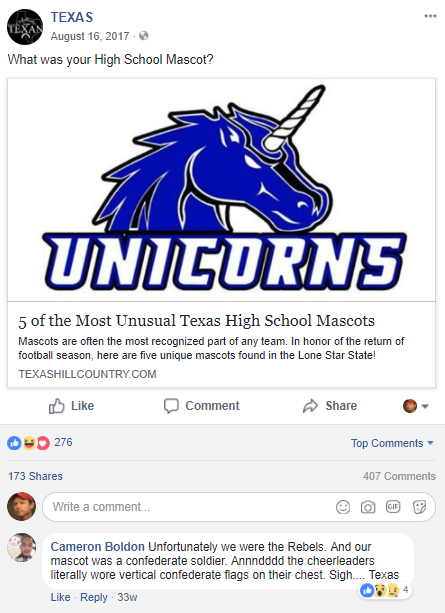 Incredibly, 6,800 Facebook users answered this question. Giving away information about yourself, your likes and preferences, etc., can lead to all kinds of unexpected consequences. This practice may even help turn the tide of elections. Just take the ongoing scandal involving Cambridge Analytica, which reportedly collected data on more than 50 million Facebook users without their consent and then used this information to build behavioral models to target potential voters in various political campaigns. I hope readers don’t interpret this story as KrebsOnSecurity endorsing secret questions as a valid form of authentication. In fact, I have railed against this practice for years, precisely because the answers often are so easily found using online services and social media profiles. But if you must patronize a company or service that forces you to select secret questions, I think it’s a really good idea not to answer them truthfully. Just make sure you have a method for remembering your phony answer, in case you forget the lie somewhere down the road. Many thanks to RonM for assistance with this post.